Can the reformed bad boy win the woman who’s only interested in one-night stands with bad boys? That’s the mission Brian undertakes when a blown-out tire leads to him meeting the commitment phobic Kit. And she makes him work for it – boy, does she – because Kit has no interest in anything more than the scratching of an itch. No relationship means no broken heart and that’s just the way Kit likes her life. I found the role reversal in An Accidental Gentleman to be rather entertaining. At 37, Brian is looking to settle down thanks to having a front row seat to his best friend’s happiness. However, finding the right woman has proven nearly impossible because Brian doesn’t want kids, he doesn’t want docile, and he’s afraid that a long-term relationship will mean putting his sexual appetite on a diet. But when the middle-aged truck driver Brian expects to see turns out to be a hot little number in cutoff shorts and a tank top, he’s in instant lust. When said hot little number eschews his attempts to ask her out because she doesn’t date, she only fornicates, Brian curiosity is piqued, and then some. The dance that follows as Brian stumbles over emotional landmines, repeatedly, in his pursuit of Katherine is sensual, frustrating, and occasionally, laugh out loud funny. I absolutely loved An Accidental Gentleman. I appreciated that Barber chose to trace Kit’s bitterness about and avoidance of relationships back to watching her sister’s marriage crumble and her nieces struggle with not having their father in their lives. This made Kit understandably cautious without having been broken herself, which meant that Brian only had to prove himself trustworthy and was not tasked with healing her broken heart as well. I also liked how the nine-year age difference was only an issue when Kit made assumptions about what she thought Brian was looking for in a relationship, particularly when it came to kids. I found the encounter between Kit and a past lover to be quite interesting because it highlighted that even though she had no reason to be ashamed of her sexual appetite, she could still feel regret over who she had taken to her bed in the past – a regret not for the act, but for the partner. Thankfully, with Brian’s age and military background came perseverance, so he kept trying long after most men would have thrown in the towel on their pursuit of Kit. As entertaining as it was to watch Brian and Kit fall in love, the best part was the gift he leaves for her on her work bench at the end of the book. It not only demonstrated his love and commitment, but an understanding of her work environment and the words she needed to take the next step toward their future. An Accidental Gentleman was an enjoyable addition to the Gentleman series and I’m looking forward to reading whatever Barber writes next. M.Q. Barber likes to get lost in thought. She writes things down so she can find herself again. Often found staring off into space or frantically scratching words on sticky notes, M.Q. lives with one very tolerant, easily amused husband and one very tolerant, easily amused puppy. She has a soft spot for romances that explore the inner workings of the heart and mind alongside all that steamy physical exertion. She loves memorable characters, witty banter, and heartfelt emotion in any genre. The former Midwestern gal is the author of the Neighborly Affection contemporary romance series. Pick a safeword, grab a partner or two, and jump in. 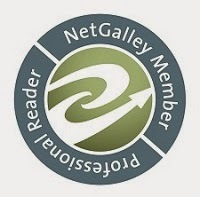 Reviewers on the Wicked Reads Review Team were provided a free copy of An Accidental Gentleman (Gentleman #2) by M.Q. Barber to read and review.